How do I check for status/updates on Zunos? Read here to discover how Zunos provides real-time status updates. 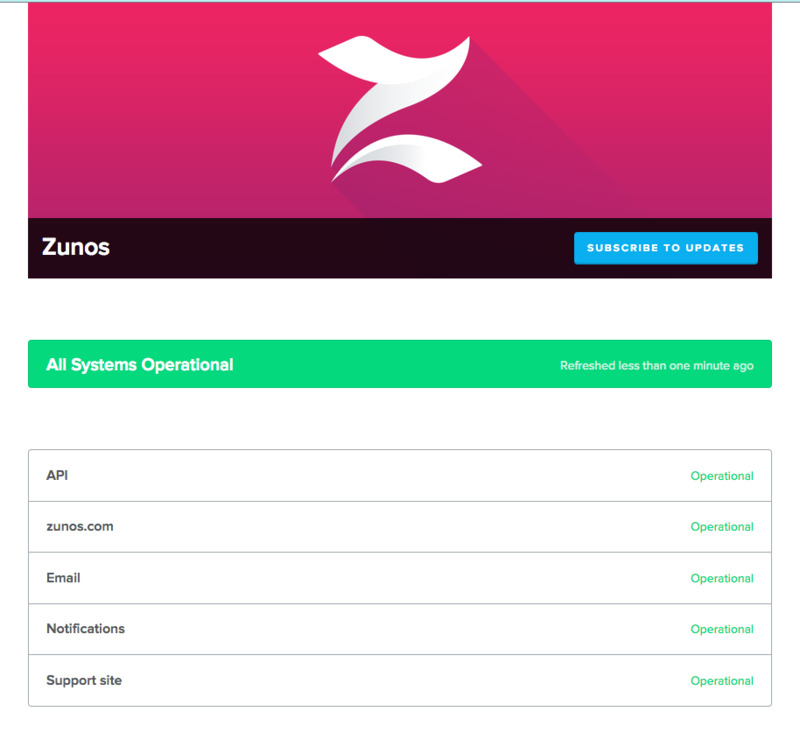 As part of our efforts to provide you with world class service and support we have launched the Zunos Status page at the URL status.zunos.com. We encourage you to click here to subscribe to notifications from the status page. These will be delivered by email or SMS. Notes will also be accompanied with a status to provide additional background as to what has caused the issue and the expected resolution time frame.